The official security provider on the London 2012 Olympic and Paralympic games is G4S. However, due to the scale of the operation, the Home Office has had to call on the military for support troops to help out with the security operation required. 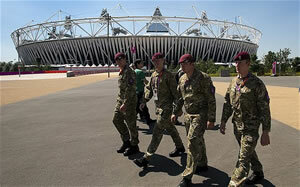 The total number of armed forces personnel at the games is 18,000, which is twice the number of troops deployed in Afghanistan! 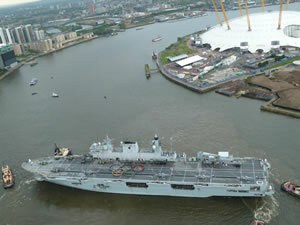 The military have been planning and preparing for many weeks, to ensure a safe and secure Olympic games, with the total cost of the security being approximately £600 million. Clearly, the police are responsible for taking the lead of security on British soil, however, the military are there to provide the extra capability and manpower to ensure that the ‘greatest peacetime security operation’ runs smoothly and according to plan. 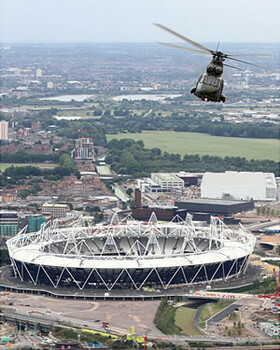 Armorgard have recently provided the MOD with over 100 FlamBank fuel and chemical safes through a well entrusted dealer, of which the complete amount has been sent to the London Olympics and they are being installed and used in accord with the large security operation that is taking place in the UK. Are you going to the Olympics? Spy an Armorgard FlamBank ‘in action’! Tell us, and send us a good photo of the FlamBank, and we’ll send you a FREE gift set! Call us on 023 9238 0280, or email sales@a-sp.co.uk. The £790m Forth Bridge replacement project is a major infrastructure in the UK, safeguarding an important connection in Scotland’s transport network. Construction of the 1.6 mile long,. British farmers are systematically being targeted by criminals. The leading rural insurer NFU Mutual has said that ‘agri-crime’ has risen 17% over the last two years. In 2010, the.